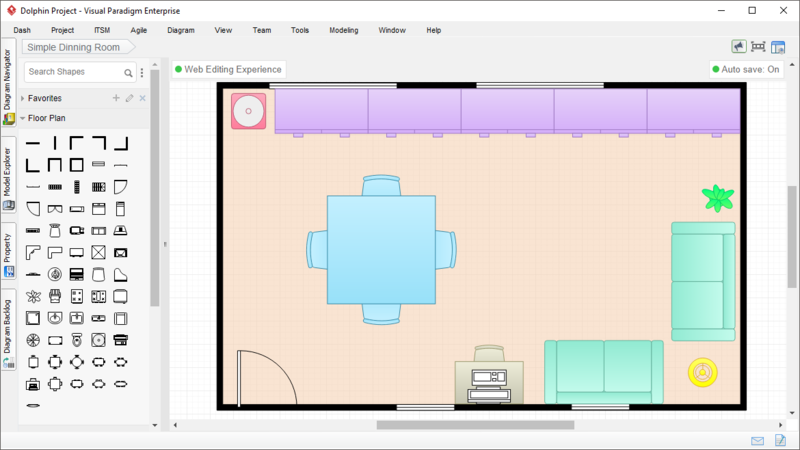 Easy-to-use floor plan maker to create any kind of floor plan. 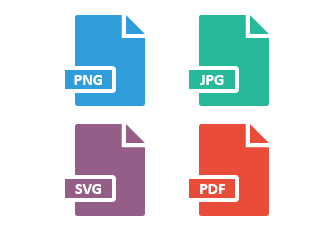 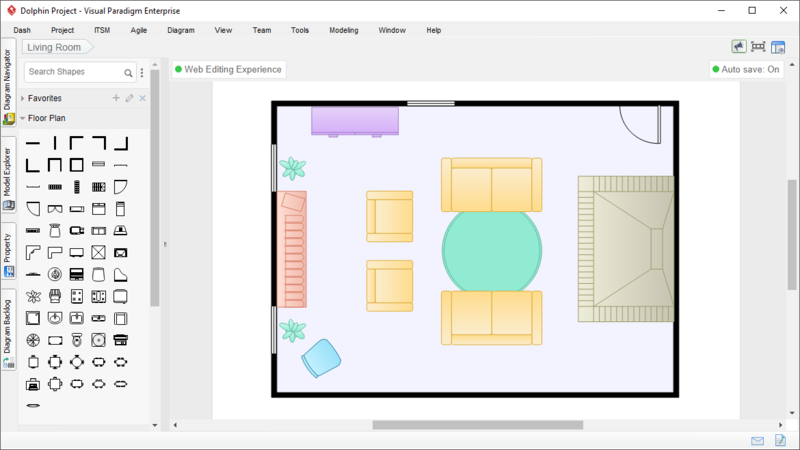 Visual Paradigm is an easy-to-use modeling and diagramming software. 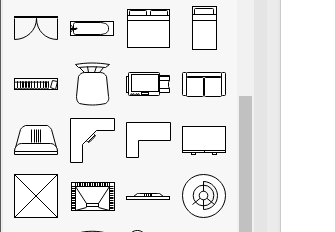 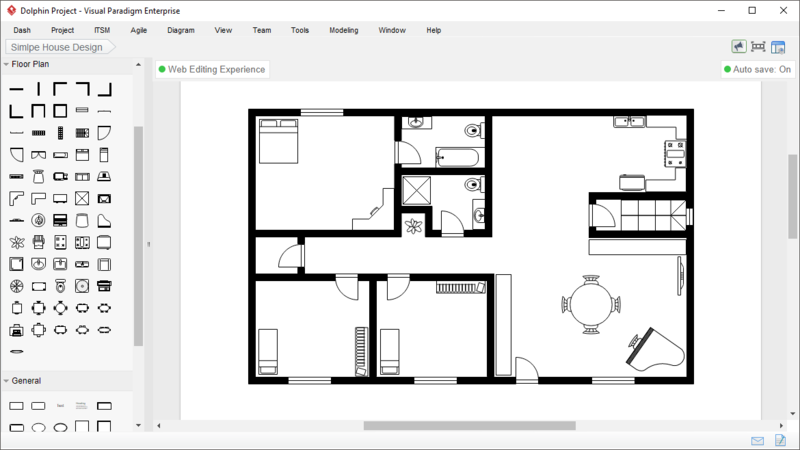 It gives you the tools to draw a wide range of diagrams, which includes floor plan and other business and technical diagrams. 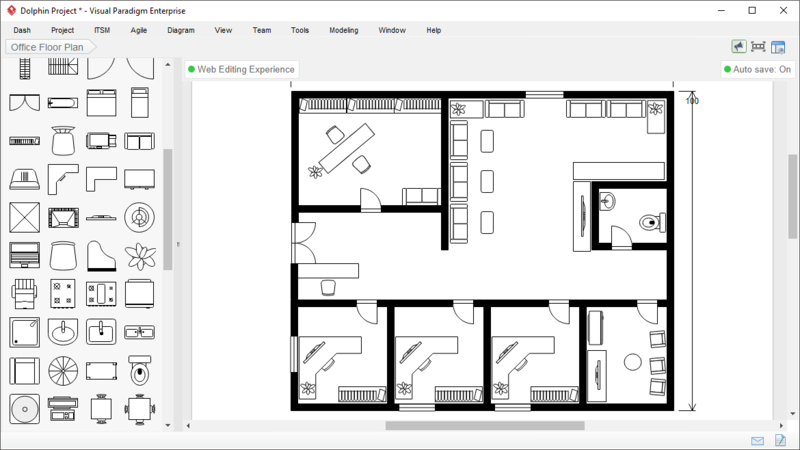 With the floor plan maker, you can draw professional floor plan for your office or home conveniently and quickly. 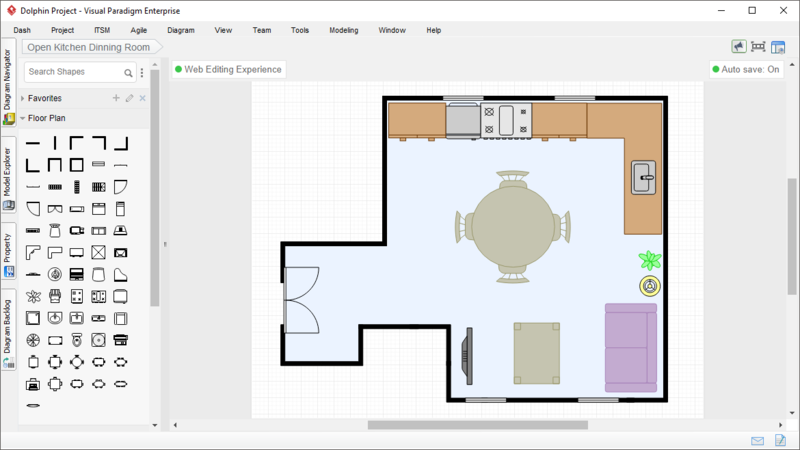 Need a floor plan designer? 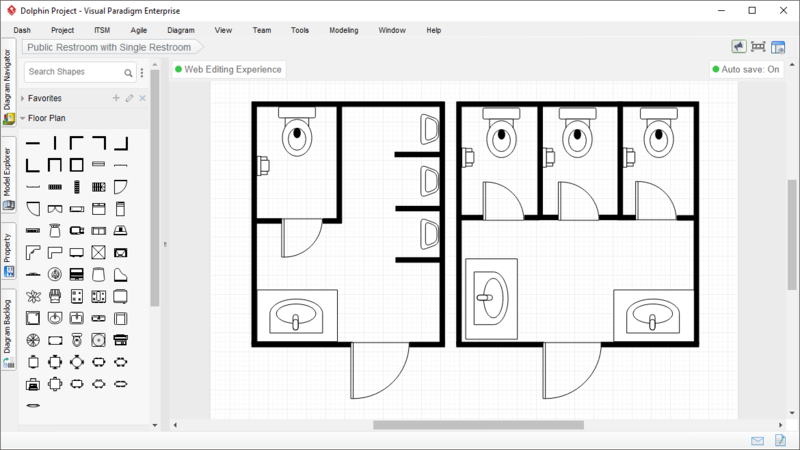 Our floor plan design tool comes with a rich set of floor plan shapes, supporting all your floor plan design needs. 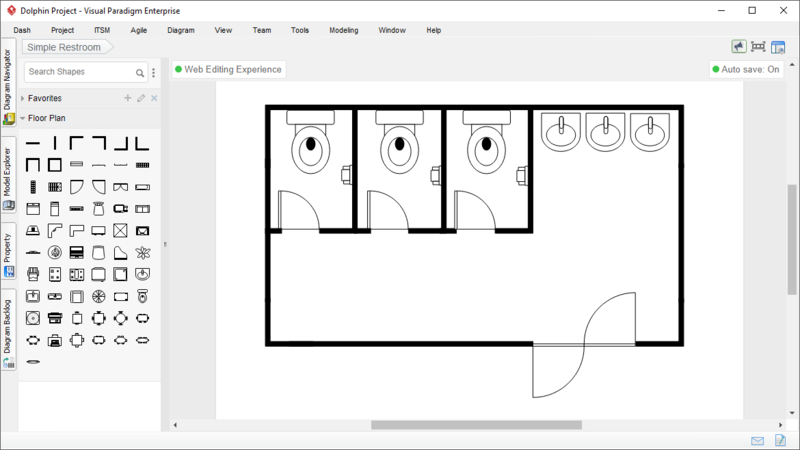 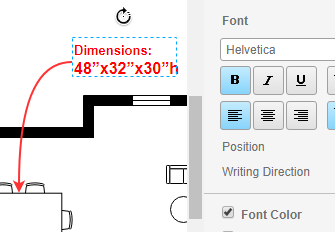 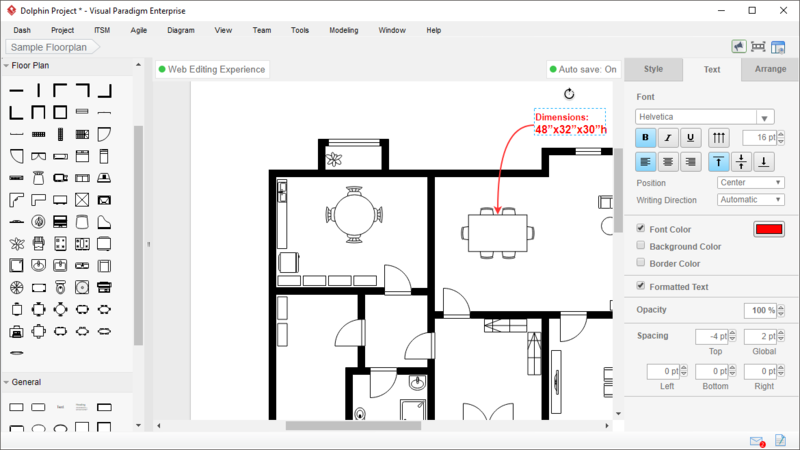 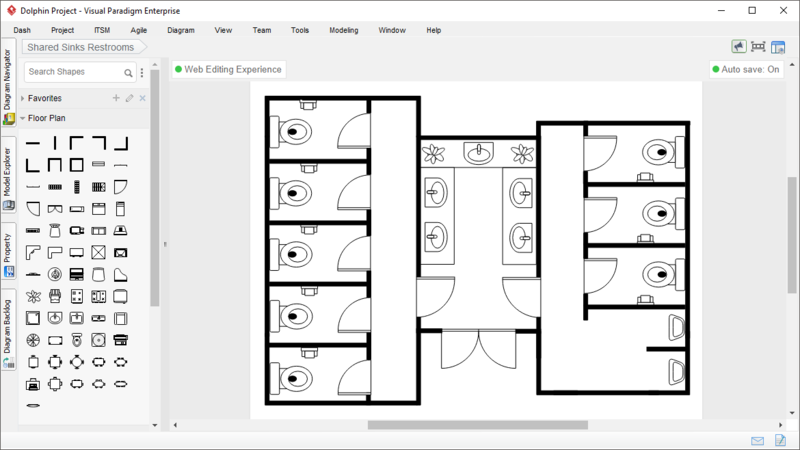 Easily add annotations to your floor plan design to indicate the dimension and other requirements of objects. 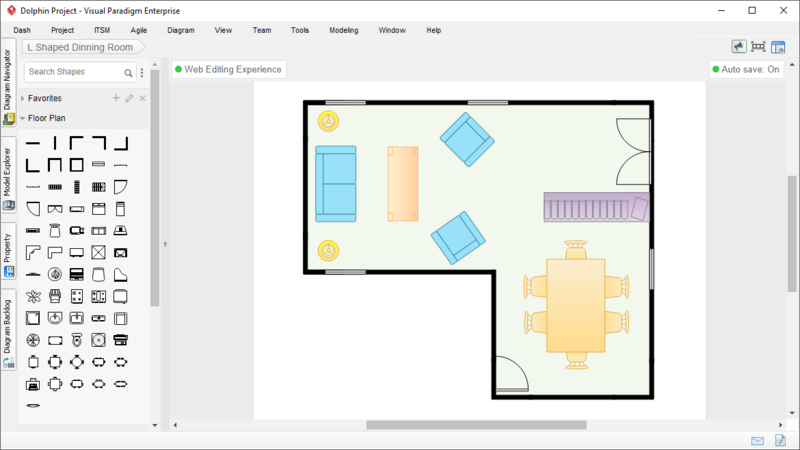 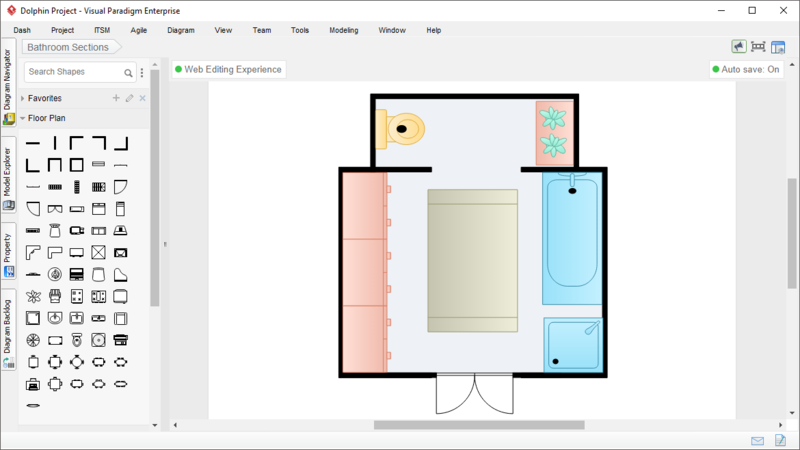 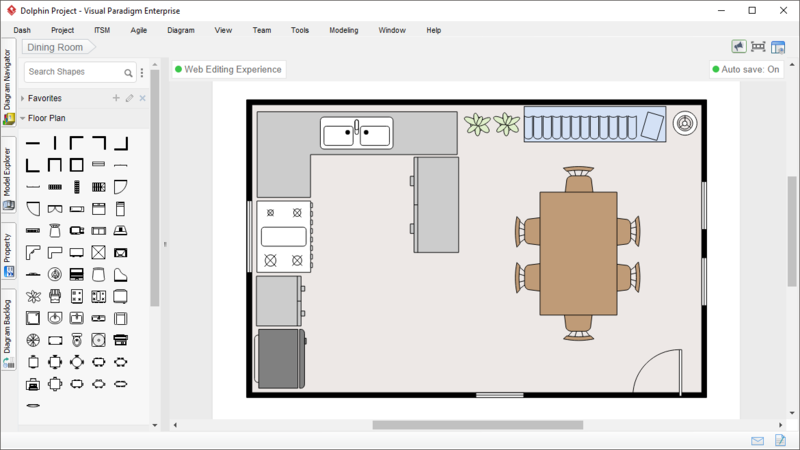 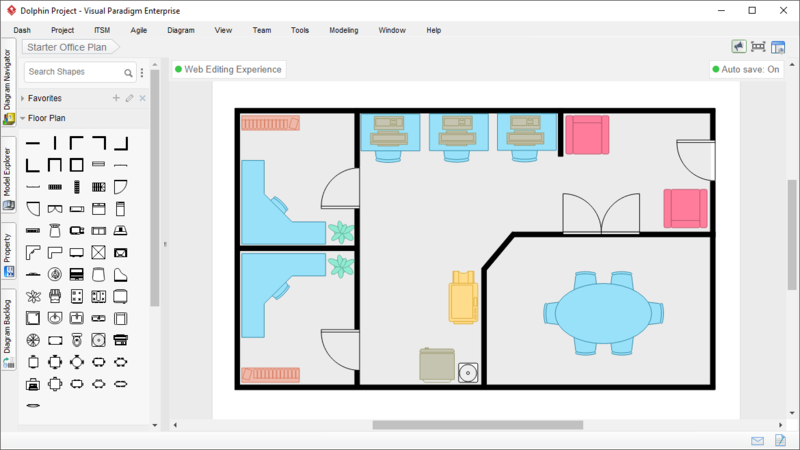 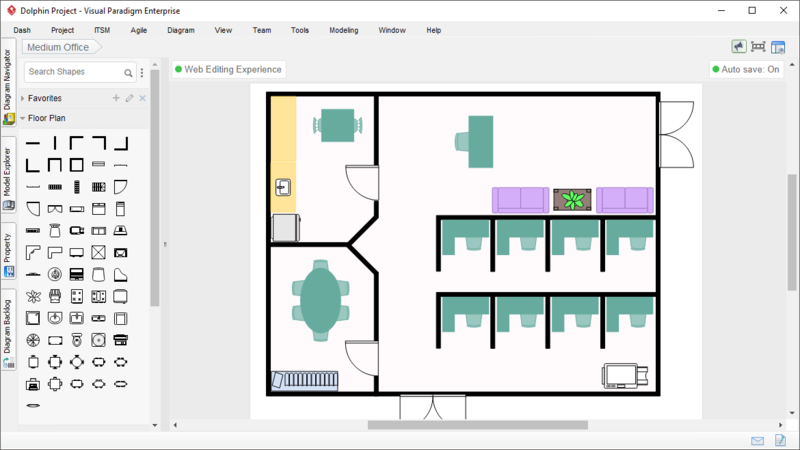 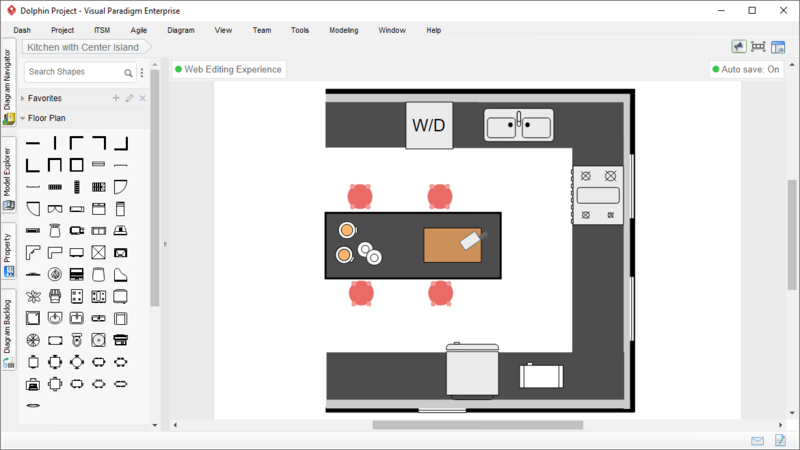 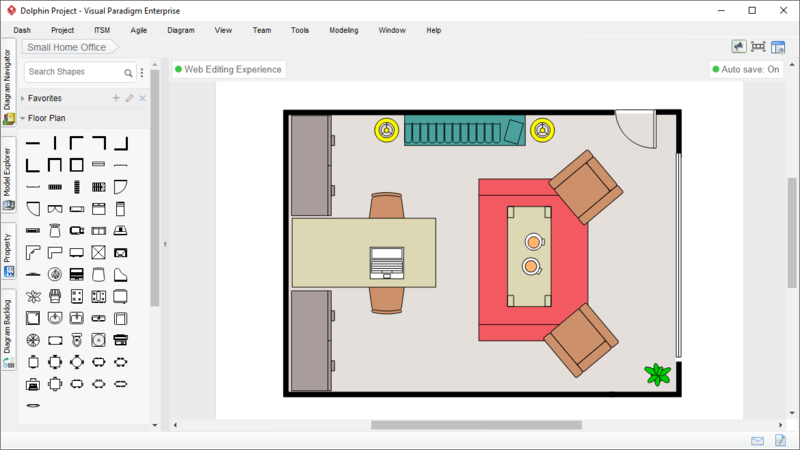 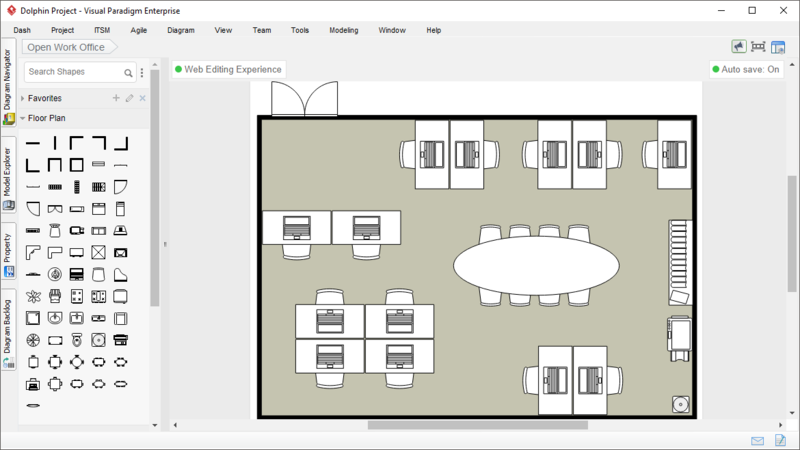 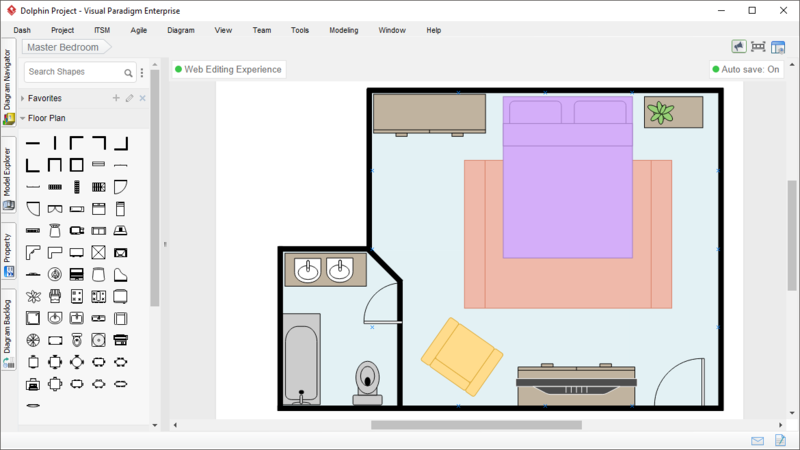 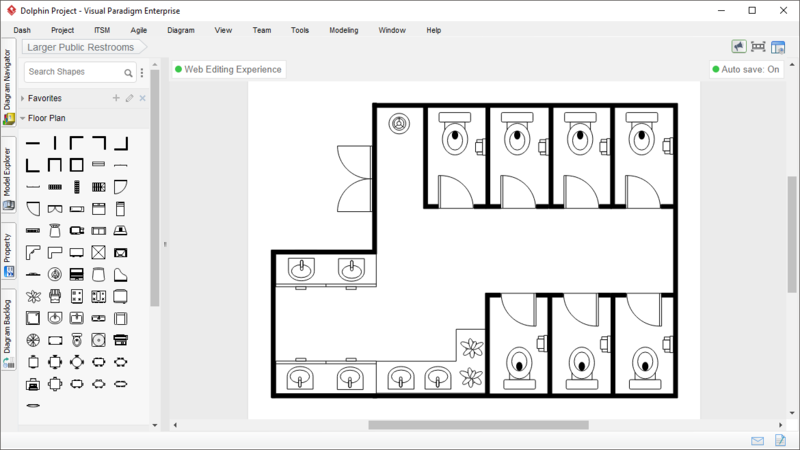 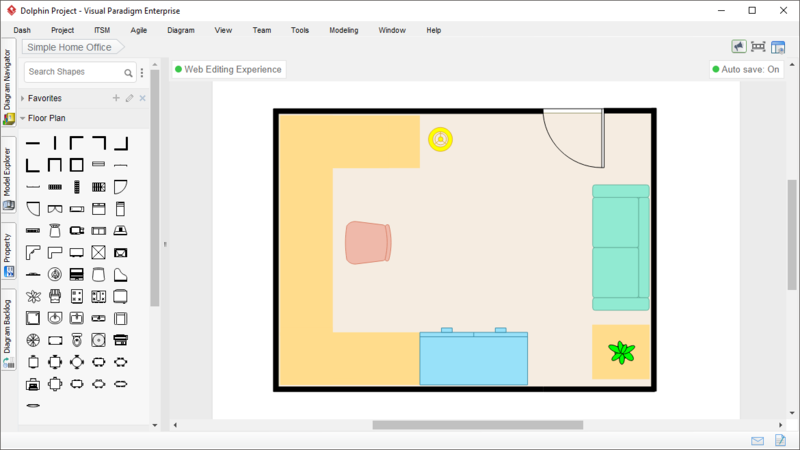 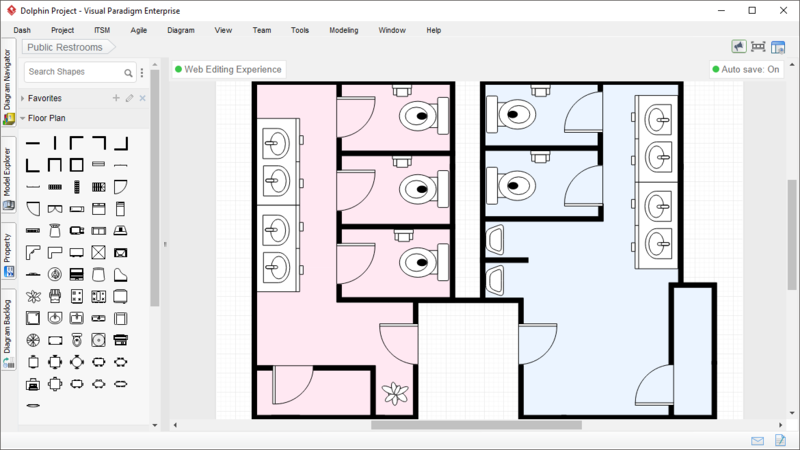 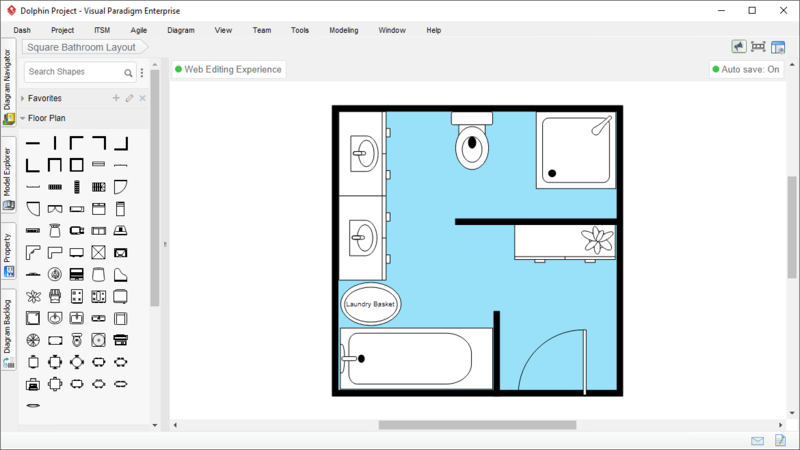 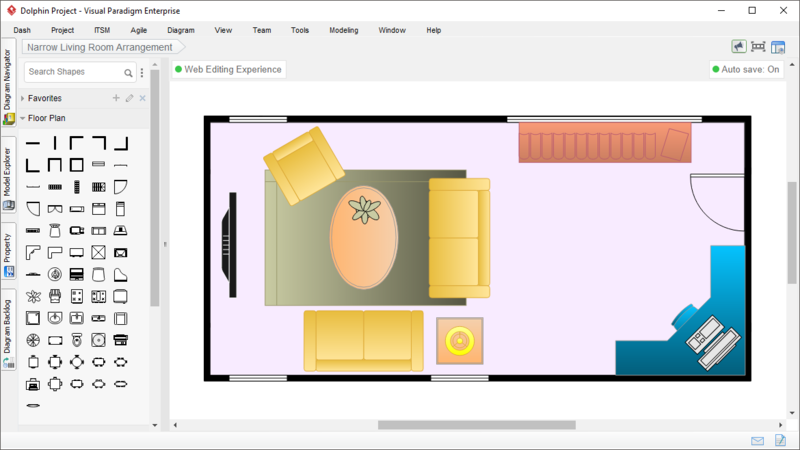 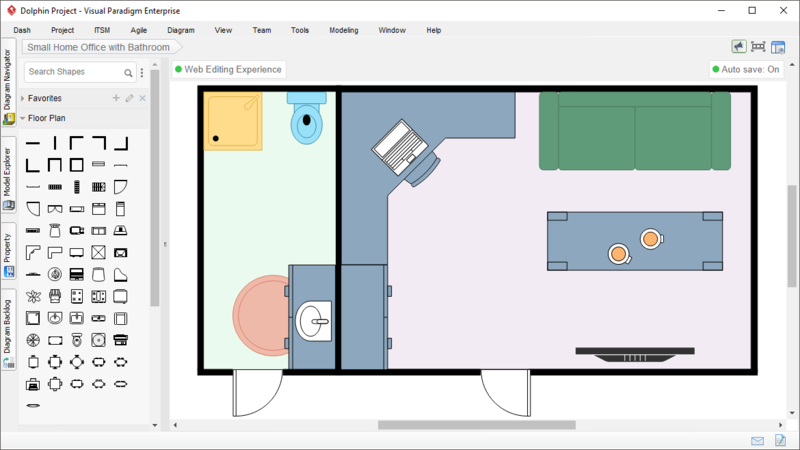 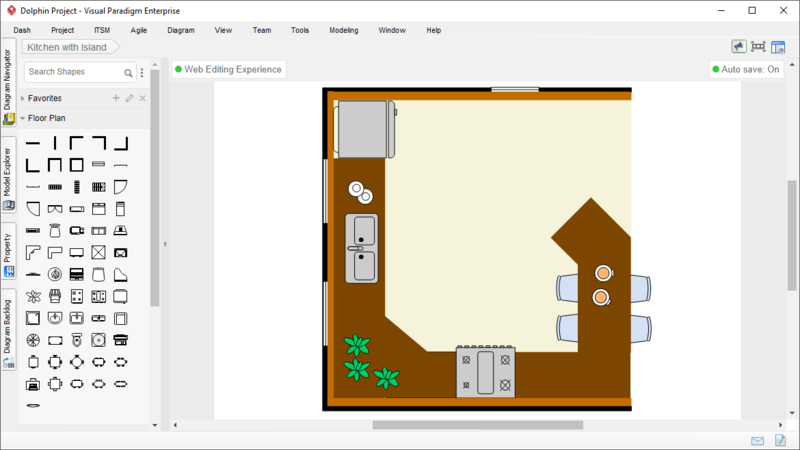 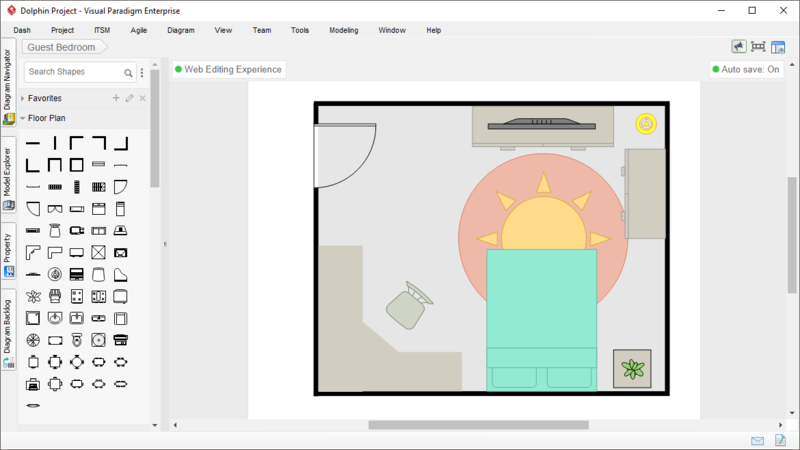 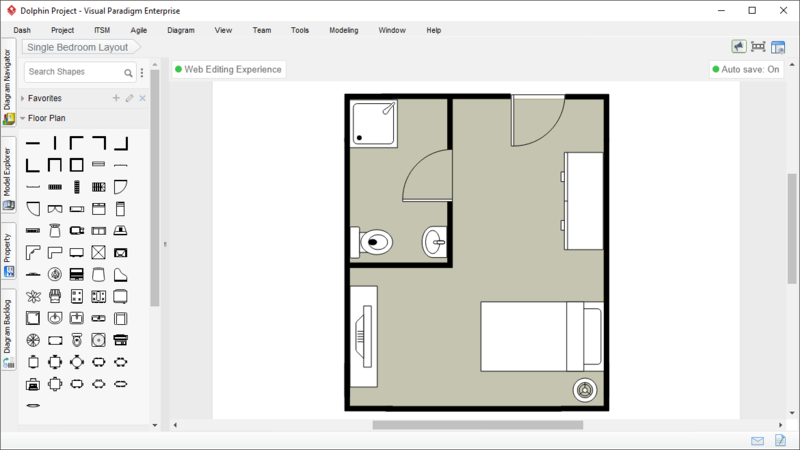 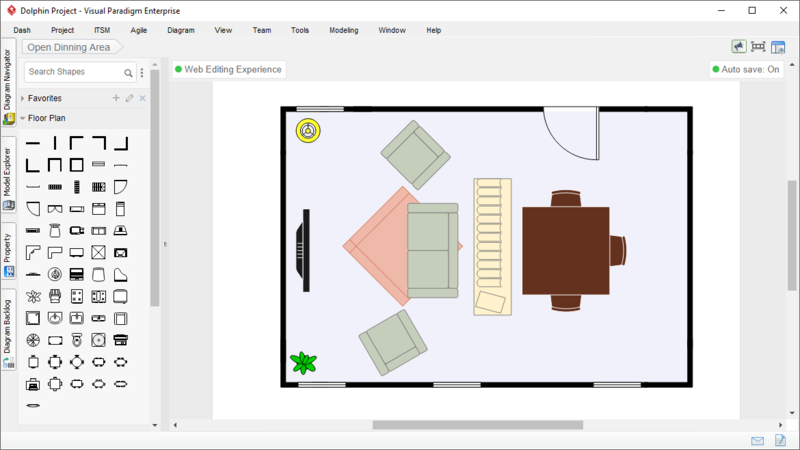 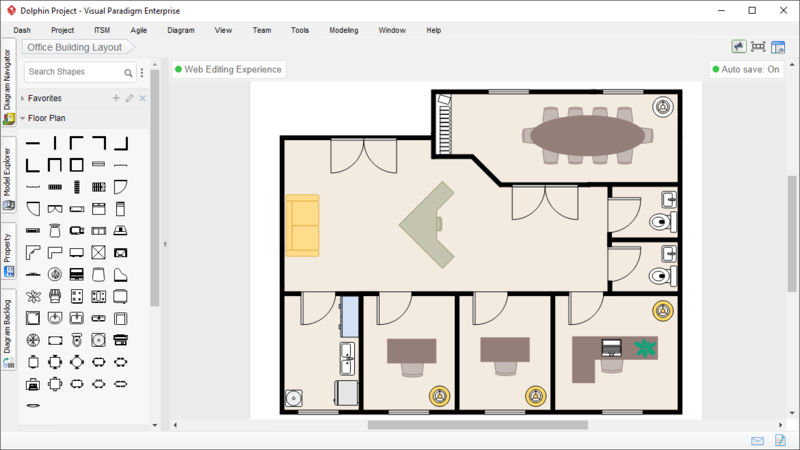 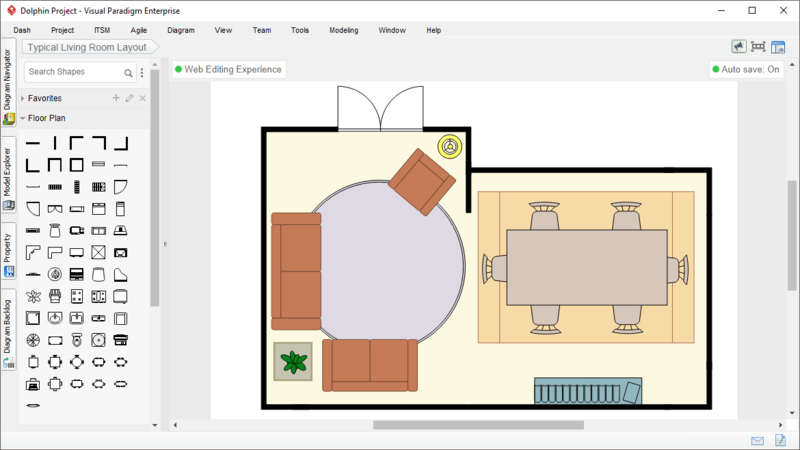 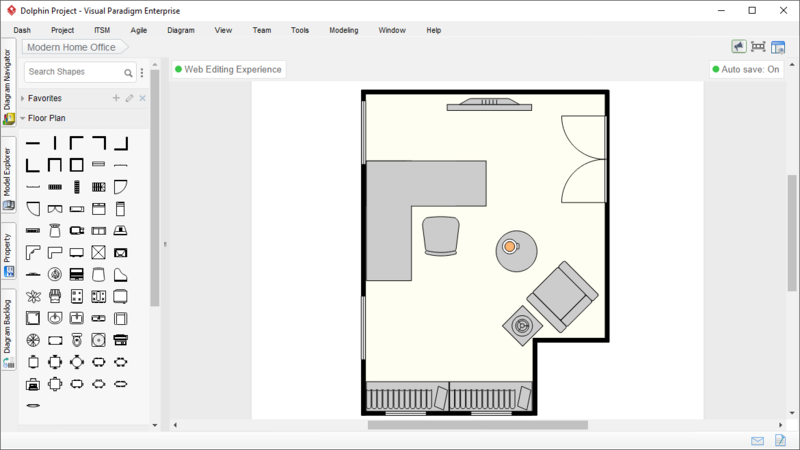 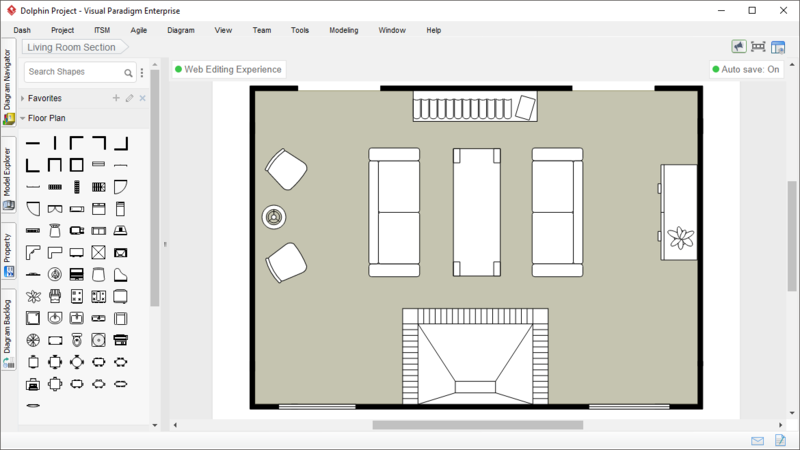 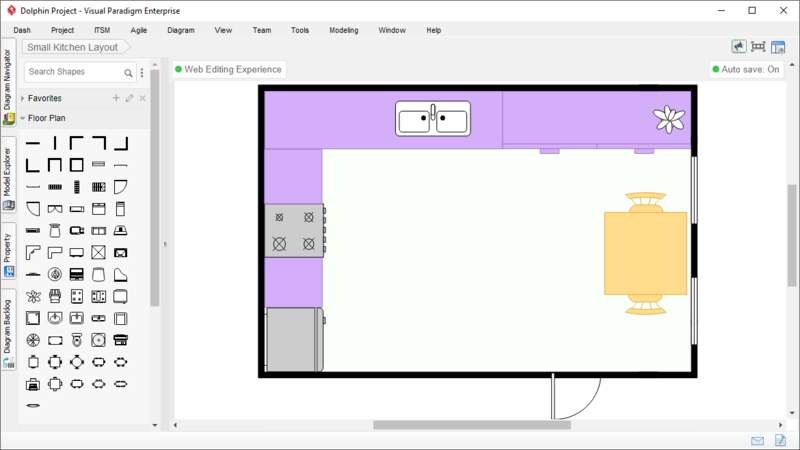 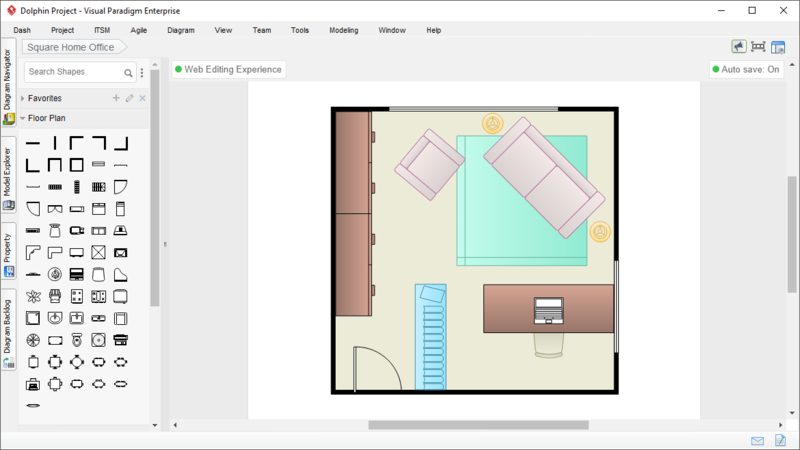 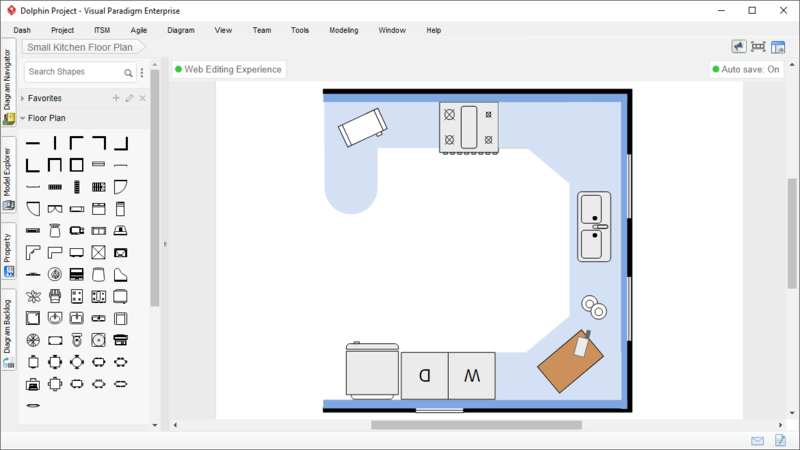 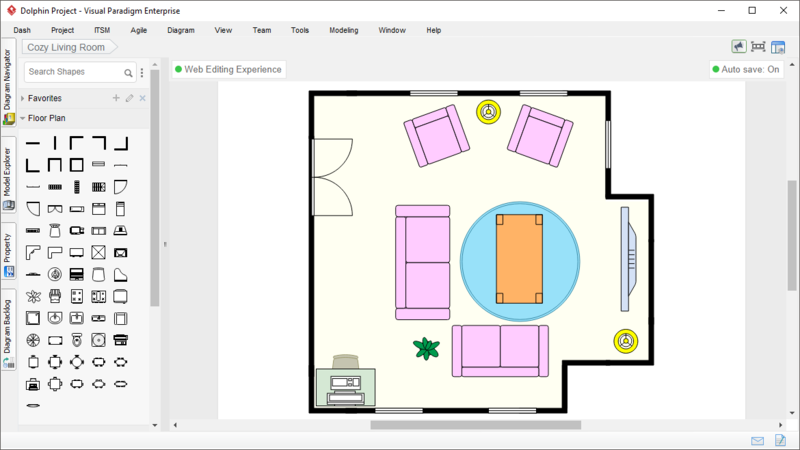 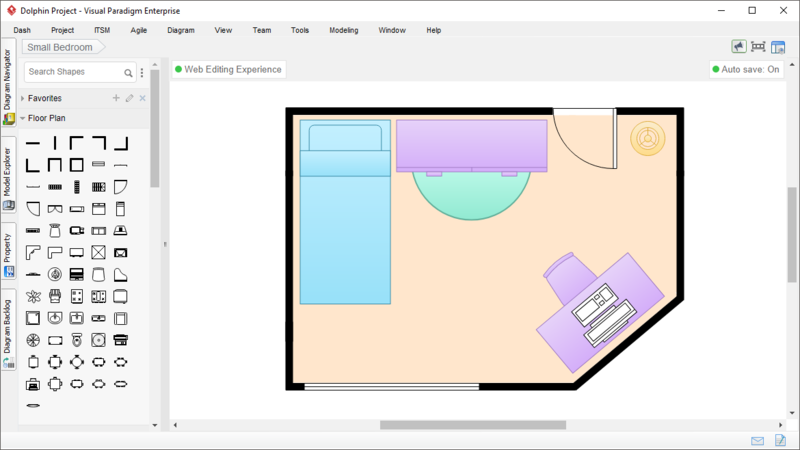 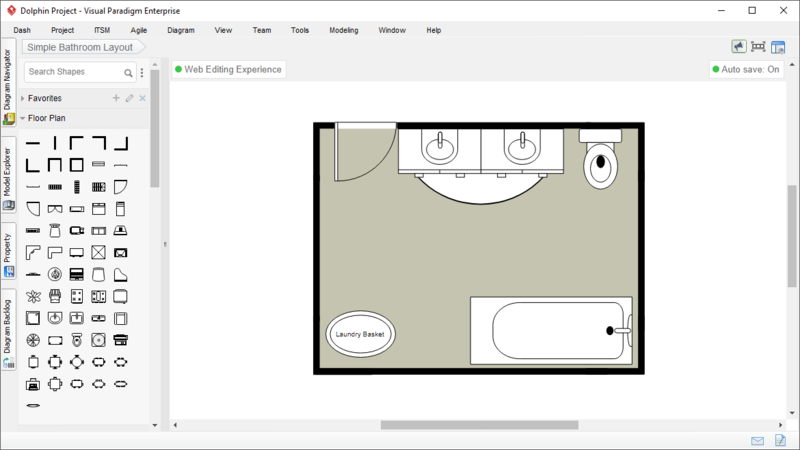 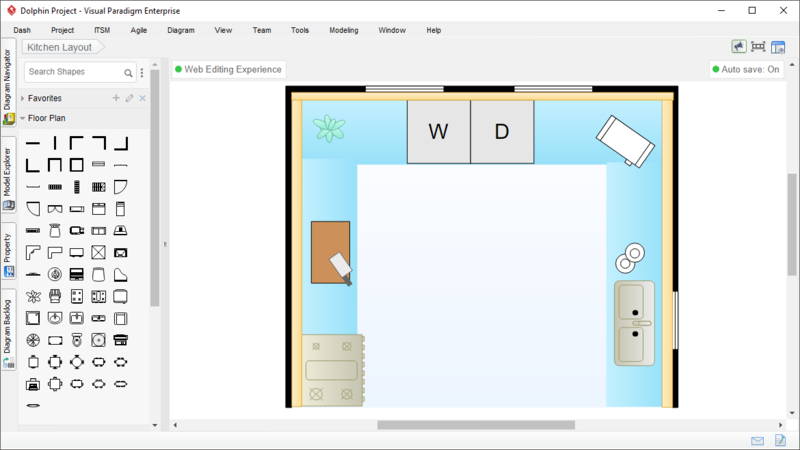 Get started with the variety of floor plan templates based on different room types.